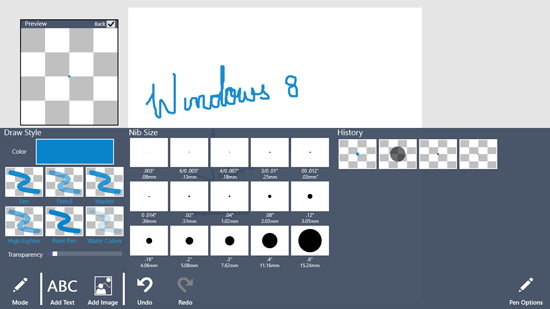 Notebook Pro is a free productivity app for Windows 8 and 8.1 system. The app has good features and can help you do many things using it. In this app you can write, add images, texts, photos and draw anything you want to. You can also add annotations to the PDF documents in this app, it also lets you write and draw on the PDFs. The pages that are created in this app can be exported as images. Notebook Pro lets you share the created page by emailing them, sharing them on social media networks like Facebook or Twitter. It also lets you broadcast the page live with your friends, colleagues and students. You can create new pages or notebooks in this app, you can also open an image, a page, a PDF or a notebook in it. To create a new page or a notebook, you can click on the New button, it will ask you if you want to create a notebook or a page/image. Choose the option that you feel is appropriate for your work. You can give your new Notebook a name and provide description about it too. If you are creating a new page or image then you can give the name and description for it. 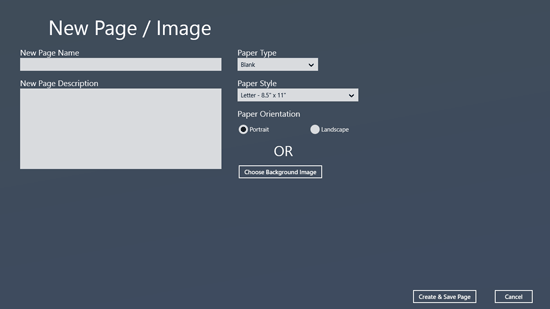 You will have to also provide what paper type you want it to be of, the paper style, page orientation or choose background image. After all the details have been given click on Create & Save Page. The paper types in this productivity app are blank, writing, graph, notes, storyboarding and other. There are various tools that you will have access to in the app such as eraser, shapes, draw and pointer. In the canvas you can also add text and image anytime you want to. Shapes tool is available if you will upgrade to a paid version of the app or purchase the tool separately. By right clicking anywhere on the canvas you can access the different tools you want to. 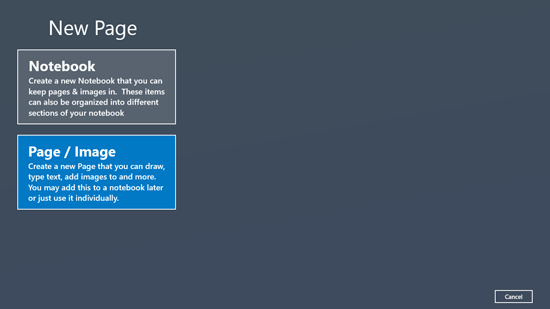 You can also try out best free note taking apps for Windows 8. The app has various drawing styles like pen, pencil, marker, high lighter, paint pen and water colors. Each drawing style has sub-tools like transparency, nib size and color. The eraser tool has various eraser size which can be chosen. There are page options like page setup, live broadcast, share page, lock rotation, resest view, clear page, print page, export page, lock zoom and lock all.